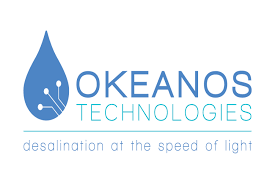 Okeanos Technologies formed in 2012 to develop a next-generation, desalination technology to address the planet’s increasing fresh water shortages. Okeanos aims to lessen the impact of fresh water shortages that include, economic development, human health, environmental degradation and political instability. Okeanos was founded on the belief that the world needs a new clean-energy desalination future. 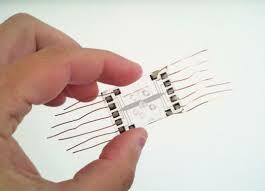 To do this, the company believes the evolution of desalination technology requires a completely new way of thinking. Rather than reflexive, incremental improvements to existing but fundamentally inefficient technology platforms, total re-conceptualization is required. By looking at the entire problem from different scales of perspective, using entirely new approaches and alternative modes of engineering, efficient and large scale desalination can be achieved. The new technology involves large-scaled microtechnology that harnesses and redirects the corrosive potential of sea-water one millionth of a liter at a time. The new WaterChip™ technology provides a “solid-state” alternative to present-day approaches for creating fresh water from seawater and brackish aquifer sources. With capabilities of world-record desalination efficiency, by being less energy-intensive than current desalination plants, and by being made into a portable device, people, regions and companies all over the world will have access to desalinated water.